We’re in the homestretch for the Pan Am Games in Toronto, and Canada is fighting the United States for the medal lead, and the Para Pan Am Games are coming up in August. With the help of technology sponsors like Cisco Systems, these are one of the most connected games yet. Cisco has free Wi-Fi across most games venues to keep you connected, but even if you’re taking in the games from home (or maybe the office) there are a number of apps you’ll want to have on your tablet or smartphone to keep you connected to the Pan Am Games experience and follow the progress of our Canadian athletes. 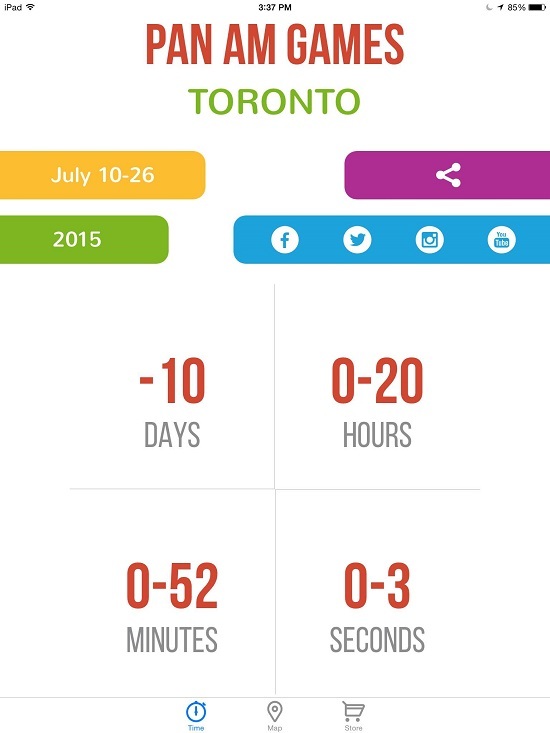 Here’s a look at some of the Pan Am Games-related apps out there, and advice on which are worth the download. 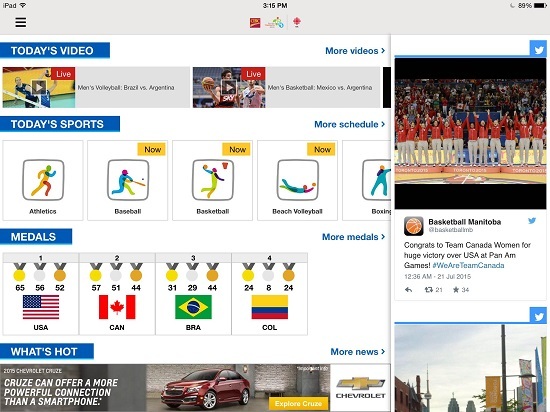 CBC is the host broadcaster and its CBC Sports Pan Am app for iOS and Android is a must-have. There’s a curated Twitter stream heavy on photos from Canadian athletes, links to all of CBC Sports’ games coverage, a competition calendar, current medal count and, most importantly, links to CBC’s live-streaming coverage of events from water polo to basketball. Not everything is being broadcast on traditional television, but most of the events are bring streamed in real time – just make sure you have the data plan to handle it. From Eario Inc., this app looks amateur in design and layout. It has menus for results, venue and event information that just link to the relevant pages on the official Pan Am Games website, which would probably be as easy, if not easier, to find on the website itself. There’s also a link to Booking.com, but the app seems to exist to display a giant ad for the developer’s (for pay) automotive app. No reason to waste your data on this app. From Bendigi Tech Inc., this app has a cleaner design than Eario’s offering but, surprisingly, even less functionality. The main page is dominated by a countdown clock that’s obviously now in the negative. There are links to the official Pan Am social accounts, and the Store link goes to the ticket sales page for the games – all things I can find on the website easily without the app. The one feature liked was the Map button, which takes me to a map with all the Pan Am venues mapped. Nice, but the ability to get directions from my location would have been nice. No real need to download this one either, unless it’s to see how far into the negative they let the clock go.